Originally I’d intended to devote a couple of short articles to locally-written books, in the hopes that a few of those books would find their way under Vancouver Christmas trees (here are parts one and two). But as I started looking around I discovered lots of books – I’m very impressed by the quality overall – so the first two installments expanded, and I decided I’d better add a third one. I guess it’s fair to say that a book that deals with “First Nations ministry from the foundations of Indigenous worldview and values” won’t be at the top of everyone’s Christmas wish list. But I do hope that many people will take a look at Introduction to First Nations Ministry, because Cheryl Bear-Barnetson has a lot of wisdom to share. As well, most of us have a lot to learn about Indigenous people, and there are tens of thousands living in Vancouver now. A member of the Nadleh Whut’en people from the Carrier Nation in northern BC, Cheryl is a charming and outgoing woman of many talents, with lots of church-planting and pastoral experience (including several years in the Downtown Eastside) and three music albums to her credit. And she’s managed to pick up an MDiv from Regent College and a DMin from The King’s Seminary along the way. Cheryl and her husband Randy spend much of each year on the road, ministering all over North America; they have now visited more than 600 of the 1,000 First Nations communities on the continent. This fall, for example, they traveled the entire length of Highway 16 (The Highway of Tears) in northern BC, visiting Indigenous communities, spent some time in the American Midwest (including concerts in a Minnesota women’s prison), visited various First Nations groups in Virginia – and much more. While back in Vancouver, in September, they had a booth at the Truth and Reconciliation Commission at the PNE Grounds, which was attended by thousands of residential school survivors. They prayed with many people and gave away hundreds of First Nations stylized copies of the New Testament. 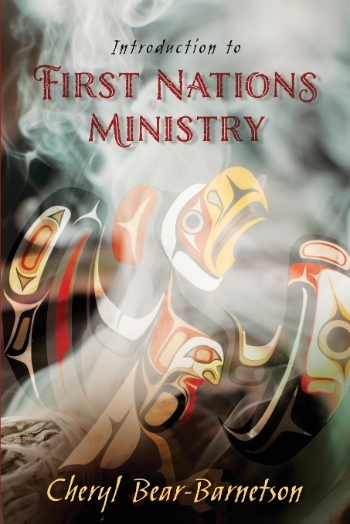 Introduction to First Nations Ministry does just that, in book form. She begins with an overview of First Nations theology, which includes Native views of Creator, the Holy Spirit, the incarnation, a theology of land and a theology of missions. Various Native practices, traditional gatherings and ceremonies are also described. Cheryl argues that leaders who are more fully informed about Native beliefs, values and practices will see a dramatic increase in their effectiveness in ministering to indigenous people in the United States and Canada. Furthermore, the practical missiological and theological principles discovered here can be implemented in any cross-cultural ministry context. “Reading it in Advent I was particularly moved by her description of the incarnation: Jesus coming as an infant vulnerable ‘completely dependent on others, growing and learning through various stages of life’ as a model for approaching Indigenous cultures from outside. 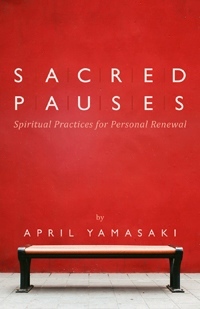 Q: What do you do on most days for a sacred pause? What kind of practice is your favourite – your ‘go-to’? Q: A lot of people want to take time for sacred pauses but they feel they can’t carve out the time. How do you address that sense of powerlessness? Do we cut things from our lifestyle, or just find ways to spiritualize our busy lives? “We may not be able to carve out a lot of time, but even a tiny scrap of time in the middle of a busy day can make a difference. Instead of jumping out of the car and racing in to my next meeting, I can pause, take a deep breath, still my thoughts, and then move on more deliberately and with more focus. If some of these thoughts seem familiar, there is definitely some common ground with Ken Shigematsu’s God in My Everything, which I’ve covered on this site here and here. What April and Ken don’t have in common – despite first appearances – is Japanese heritage. A third-generation Canadian of Chinese descent, April was born and raised in Vancouver. She now lives in Abbotsford with her husband, Gary (Yamasaki, that is), who teaches biblical studies at Columbia Bible College. I wrote about Joyce Chan’s book in October when I covered her book launch at Carey, on the UBC campus, where she teaches. Actually, the event launched both the book and an exhibition, which I understand will be hosted in a couple of other locations early next year; more on that in January. Joyce’s project explores how the ministry of the church opened up opportunities for Chinese immigrants to receive quality education, to move beyond their social confinement and integrate into Canadian society. There are many fascinating portraits of impressive individuals, accompanied by evocative photos and graphics. This would make an ideal present for anyone in the Chinese Christian community, but would be of interest to anyone with an interest in Canadian history. Books are available for purchase at Carey Centre (front desk) or by calling 604.224.4308. 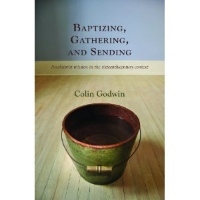 Also from Carey is Baptizing, Gathering and Sending, which is subtitled ‘Anabaptist Mission in the Sixteenth-Century Context.’ Colin Godwin was installed as president of Carey this year, following service in Europe and Africa in ministries of church planting, education and sustainable community development. Here’s the publisher’s comment: “Anabaptist leaders and authors Hans Hut, Conrad Grebel, Pilgram Marpeck, Menno Simons, Peter Riedemann, Balthasar Hubmaier, Melchior Hoffmann and even David Joris describe mission as a key component of belief and practice . . .
Greg Mitchell is pastor of Every Nation Church in Vancouver (some will know him from his years with Burnaby Christian Fellowship). 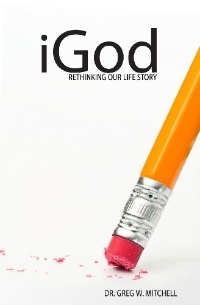 iGod: Rethinking Our Life Story is about self-centeredness. 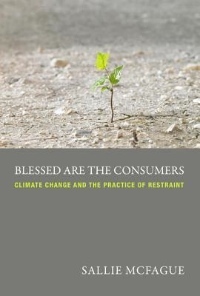 “It is what global warming, religious extremists, marital discord, criminal activity, and temper-tantrums all have in common; and no amount of negotiation or legislation will quiet its determination. The problem is: we have mixed feelings about self-centeredness. It makes us happy, yet it is the reason behind everything painful and ugly in us and in our world. What are we to do? . . . 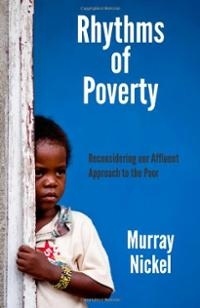 I thought this book was published last year, because it was already available at Missions Fest early in January. But no, apparently it was this year – and it will still be fresh for purchase at Missions Fest 2014 (if you don’t get it for Christmas). Richard Dodding deserves great appreciation for steering the Missions Fest ship from a dream to one of the major missions conferences in the world. Every year, tens of thousands of local people have a chance to learn what is going on all over the world; not to mention the enjoyment of catching up with old acquaintances from the city. The subtitle of the book is ‘Engaging the world with the gospel.’ That could apply to the Metro Vancouver world, but Richard is clearly talking about the whole world as well. While those of us in Vancouver know the event under the sails of the Vancouver Convention Centre, Richard’s vision was always larger than that. 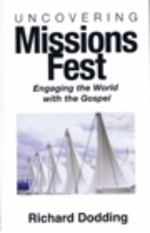 He points out in some detail how Missions Fest moved across Canada and then around the world. When Dwayne Buhler took over the role of Missions Fest Vancouver in 2007, Richard focused his attention on Missions Fest International. Sallie McFague is a theologian at the Vancouver School of Theology. 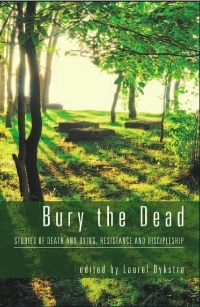 From the publisher: “For decades, Sallie McFague has lent her voice and her theological imagination to addressing and advocating for the most important issues of our time . . .
Dr. Murray Nickel is an emergency physician from Abbotsford. He has spent many years working and living in the context of poverty, especially in Congo, and he still makes several trips a year there. This brief extract suggests what Murray is getting at: “Frustrating stories of social assistance gone bad are more common than we want to admit. Our clumsy attempt at helping the poor could be compared to an elephant in a cage with a wounded rabbit. No matter how hard the elephant tries to help, his fingerless paws will inevitably crush the poor creature . . .
Laurel works part-time with St. Catherine’s Anglican Church and the North Vancouver Regional Ministry. Luci Shaw actually lives in Bellingham, but I have no hesitation in claiming her as one of our own, considering her long-term close relationship with Regent College as writer-in-residence. 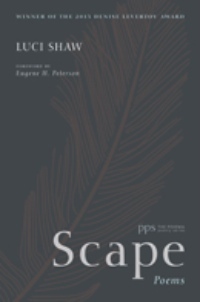 Scape is her latest collection of poetry, just released in October. But Adventure of Ascent: Field Notes from a Lifelong Journey (she’s now in her eighties) will be out early next year, and she also has a piece in God for Us (see below). Fans might want to go see Luci in person at Village Books in Bellingham January 18. I discovered this one as I was looking at Luci Shaw’s site. Vancouver resident Greg Pennoyer has just put out God for Us: Rediscovering the Meaning of Lent and Easter. As editor, Greg has gathered an impressive collection of reflections by some very talented and celebrated writers: Scott Cairns, Kathleen Norris, Richard Rohr, Ronald Rolheiser, James Schaap, Luci Shaw, Beth Bevis and Lauren Winner. 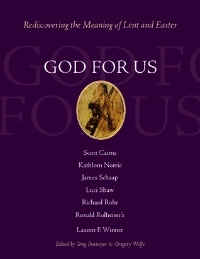 Some will remember the companion book – God with Us: Rediscovering the Meaning of Christmas – which Greg and Gregory Wolfe (editor of Image) put out in 2007. This might be the ideal time to give a friend or family member both books. Not out until next year, but it looks like fun! A couple of great spots to find these books are Regent Bookstore out at UBC and Pilgrim Book & Bible at 2714 Kingsway in East Van. ← Dec 9 – 15: Christmas Presence, Santa’s Christmas, A Traditional Christmas . . . Thanks for sharing these lists Flynn! Encouraging to see how local authors are sharing their wisdom – good stuff! Thanks for adding this book David. There really are a lot of good local books out there. I believe I’ve seen some of Danny’s earlier books; glad to see he’s carrying on.